Blurb : The First Feature Film of the Magical TV Anime Series! Join Sakura and her friends on the most unbelievable adventure ever! Sakura wins a trip for 4 to Hong Kong; the place where Clow Reed. Kero and the Clow Cards once lived. 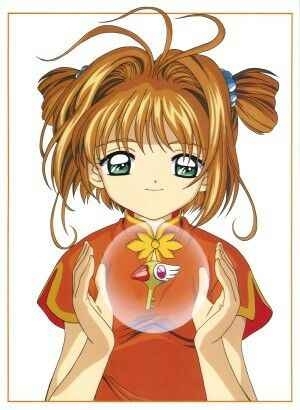 Her excitement fades when an ominous force calls out to Sakura in her dreams reminding her that Clow Reed's vengeful legacy lingers in the back alleys of Syaoran's hometown. 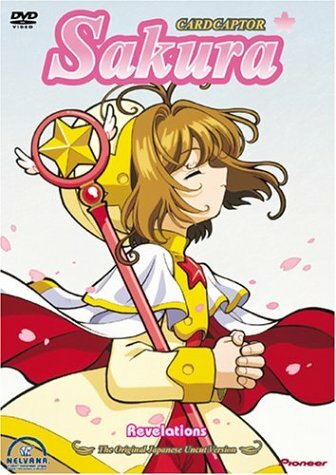 Now, for the first time, Sakura must call upon her cards to combat a true menace. If she fails, her family and friends will be trapped in a phantom world ... forever! The adventure begins when Sakura wins a trip for 4 to Hong Kong. She takes along Tomoyo, her annoying brother Touyo and her crush, Yukito. When there, they run into Syaoran and Meilin. 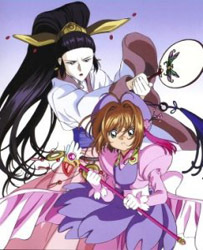 Sakura must face up to a centuries old sorceress, with power of water and the glory of the spirits on her side . . . Pretty good movie altogeter. I got the edition that has both the English and the Japanese voices. I thought the dubbing could have been better but it was ok in the English one. The Japanese one was cool, pure CCS. I would, however, recomended that it was watched in the Japanese with English subtitles, as it really gives you a feel of the cluture. If you have your own opinions on the movie, e-mail me and I'll put them up! My All Time Favourite Episode! Warining! Spoiller alert! Read on at your own risk. You have been warned! In this, we see all the loose ends come together. Eriol, Nakuru and Suppi are about to go back to England. 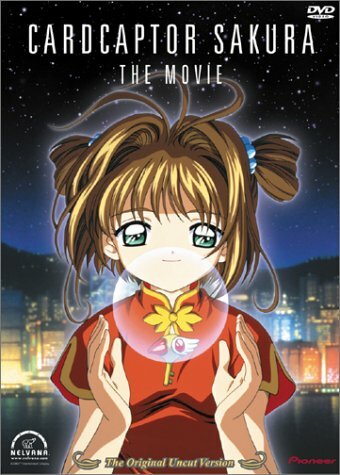 Syaoran, back to Hong Kong. But before he goes, he finally tells Sakura how he feels!!! He had been dancing around it all of the 3rd season, every time he was about to say it, he would get interupted. Sakura was dumb-founded and didn't know what to say, so he left! I have to see CCS The Movie 2 to see if she tells him that she loves him too! !